I received a nice email the other day, from Interweave magazines, who publish the QUILT SCENE magazine for the International Quilt Festival. 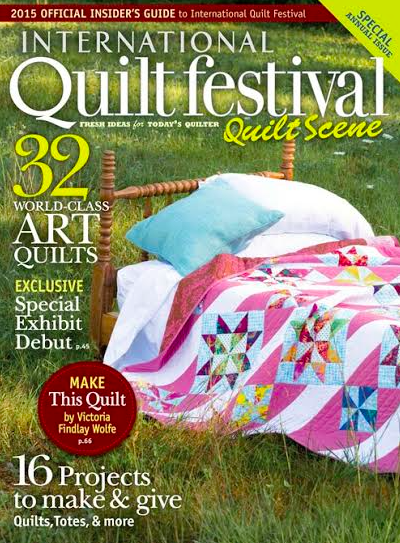 They shared with me that my quilt "Shine On" was chosen for the cover! ...Nothing but 12 yards of MAUVE solid! Why would I have 12 yards of that? PINK had been ordered TWICE, in six yard pieces, and was the wrong pink color TWICE! So when they asked for something quick, I thought, What do I have a lot of that I could whip together into a quilt quickly? And I thought... Well, let's just see what we can do with those! Very quickly, I put that quilt top together that night, and sent off the image the next day, and they said yes... Then as I was off on a trip, I sent it off to my friend Shelly Pagliai, who quilts a lot of my quilts, as I'm been traveling a lot lately... hard to long arm when your not home! It really make me use (and listen) to my intuition. Not time to dilly dally, because I have more quilts to make... so for me, that keeps me connected to my process, and I can work quickly. Thanks Interweave! I'm honored to be on your cover. I'm pleased that fabric found it's home! haha! Quilt Festival = open to the public for all of you to attend! My schedule is listed below for both... Please make note, come by, grab my arm and say hi! I'm shy to reach out, but am always happy to meet you all! Friday 23 - School house presentations! 4-5pm Craftsman’s Touch #622 BOOK SIGNING! Come say hi!! 11-12pm Craftsmans Touch #622 BOOK SIGNING! come say hi! I will be giving three walk through lectures of the exhibit. 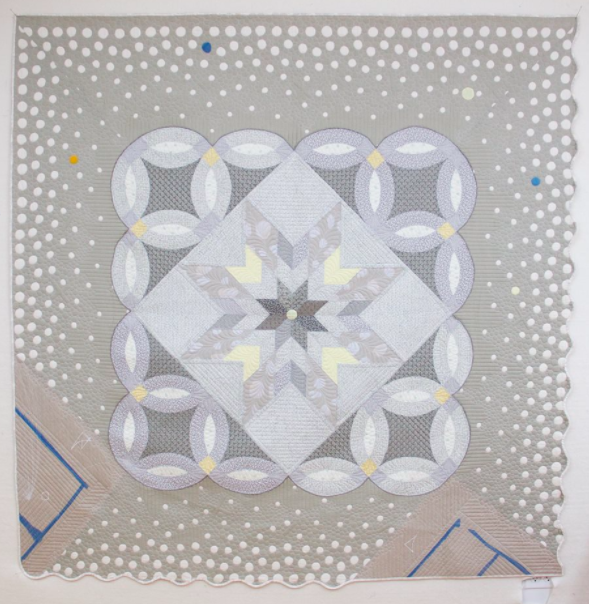 This is free for you to come by, say hi, and hear about the quilts hanging... I can't wait to meet you! Thanks for sharing your schedule, Victoria! I can't wait to see you at the Quilt Festival - most likely at a Sizzix demo and during your Double Wedding Ring quilt lecture. FUN!!! Looking forward to meeting you at Quiltcon! And for now I will share all the fun of market and festival on social media! I will stop by to say hi sometime. Bring your rain gear; it is going to be very wet around here.